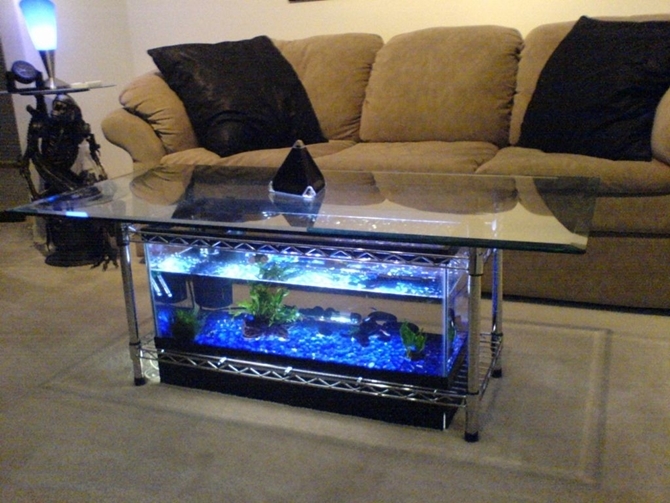 DIY Coffee Table Ideas And Projects Round Up .Coffee Table is an essential and focal point in your living room, while a well designed wood coffee table will cost your hundreds. 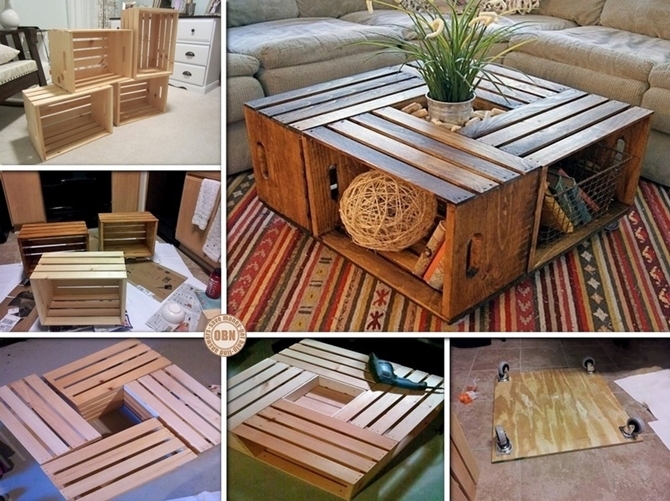 These DIY coffee table projects listed below compliment both rustic and modern design for your interior furnish, and all of them come with step by step instructions. 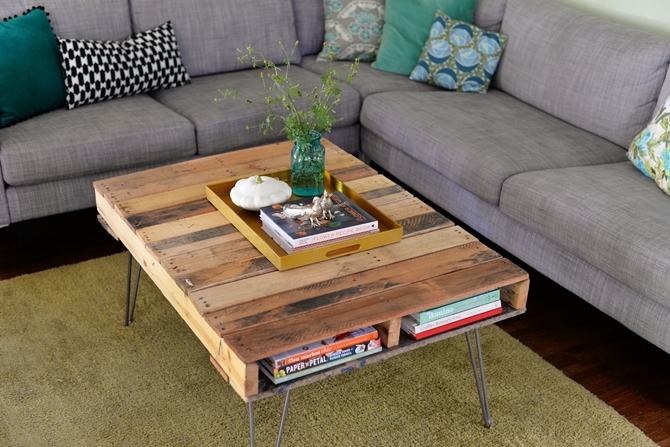 Best of all you can personalize your coffee table for your room style with lost cost re-purposed or reclaimed materials that you may already have on hand or easily available in thrift store or yard sale. Now upgrade your living room with any of these inspirational and unique coffee tables as these quick and easy instructions will guide you through the detailed process. 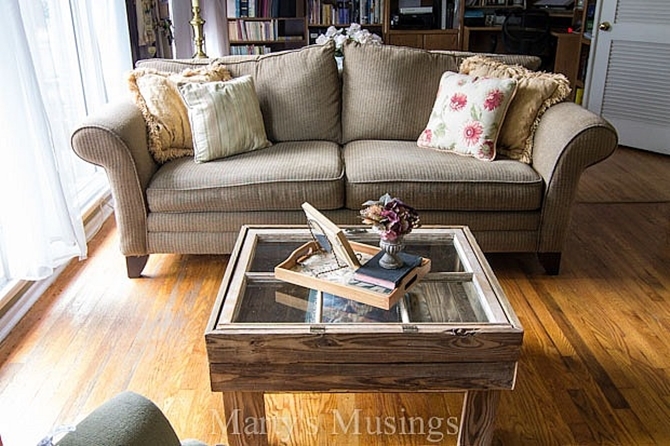 Create with wine crates from the craft store and add four casters on the solid base, this movable rustic coffee table will an beautiful living room organizer and conversation spot. Nail four hairpin Legs into single well sanded and polished wood pallet, and a pallet coffee table is there for enjoyment. If you fall in love with mid-century modern furniture, this next table is right for you. Simple and elegant. 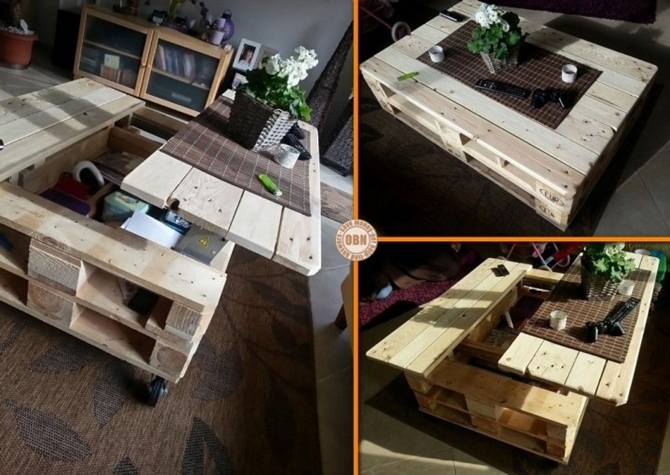 This multi-functional lift top pallet coffee table comes with underneath storage, easy slide-out and lift makes it a new centerpiece in your living room.